A little while ago, my favorite daughter came to town with her whole family and it was a grand time, albeit too short. It is always too short, when we go to visit them, and for sure it was too short for her to visit here. It was so much fun to have her husband and her three sons stay at our house, though just like my daughter, she gave me a litany of things that she wanted to accomplish while she was in town, and one of them, was that she didn’t want us to cook or to throw them a party. Well my Bride cheated a bit, because she did make nice breakfasts every morning for them, when we could finally get them up, as they were still on Las Vegas time. I was very proud of my Daughter especially concerning some of the things that she wanted her family to see, as she had grown up in the Detroit area, there are some places that she holds near and dear in her memories, and she wanted to share them with her family. Two places that she wanted to visit were the Detroit Institute of Arts and Greenfield Village, which is part of “The Henry Ford” in Dearborn, where she was born and raised. It made me feel very good, because these are two places that I used to enjoy taking my children to when they were young, and both places I would venture to say are internationally known and acclaimed. The two main parts of “The Henry Ford” are the Henry Ford Museum and Greenfield Village, and both were created by Henry Ford, the founder of the Ford Motor Company. Since it was the summer and the weather was very agreeable, we went to Greenfield Village. If you have never been to Greenfield Village it is an amazing place. Every building in the Village has historical significance and was physically moved to its new setting from where ever. Thomas Edison’s Menlo Park in New Jersey, where he did most of his inventing, including the light bulb, was moved, along with Edison’s winter laboratory that was in Florida, and one of the original buildings that were retrofitted with electricity and lights, which was a boarding house for some of his employees, was also moved. Henry Ford’s birthplace home and even the garage where he build his first car are there, as well as homes from other historic individuals across the country. Even the bicycle shop, where the Wright Brothers built their airplane is now on the grounds. There is a vintage train that circles the village, antique automobiles that can be hired for rides in the Village, as well as a steam boat that navigates part of a river that has a tributary there. The children also had a chance to ride a real vintage carousel that had all the exotic carved and painted animals. There was a lot of walking for the children, and I think that they were disappointed that they could not milk a cow, which is one of the many memories that my Daughter remembers from her days there. On another day we were at the Detroit Institute of Arts, which is a stately and gigantic museum, with a world class collection of paintings, statuary and other assorted artwork. From Rodin’s “Thinker” that greets the visitors at the front door, to the great hall that features a giant two wall mural of the Detroit’s introduction of mass production by Diego Rivera, even children will be amazed at what they will see. One of the Peale portraits of George Washington, to an Andy Warhol painting, the entire gamut of art is covered, along with furniture, pottery, religious artifacts and almost anything that was or is deemed art can be found there. My only disappointment was that one of the grand halls that house the great collection of Knights in Shining Armor was gone, because of a large event that had been held in the hall, a few nights earlier; I am sure that the boys would have been dazzled by that collection, as I know that I still am. We almost stopped and I could have had a glass of one of Michigan’s chilled white wines that were being served at Greenfield Village, but I was out-voted, as the majority wanted to stop and get some ice cream cones on that hot sunny day. Another time and another visit, I can discuss the wines that they served there. 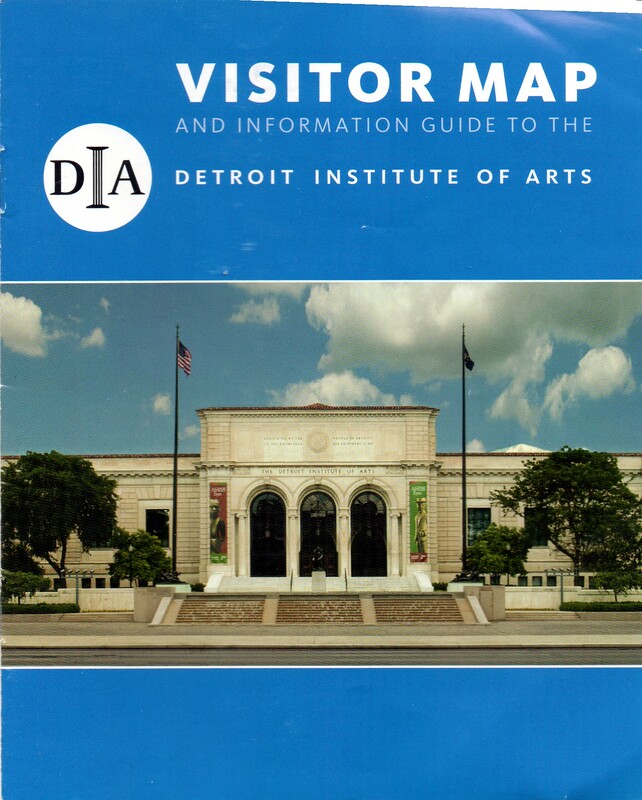 The day that we were at the Detroit Institute of Arts, my Bride took one of our grandsons to the Science Center, because he had made a tour of the DIA, just a couple of months earlier on a school trip. We were about two thirds of the way through the museum and we stopped for some refreshments, and it was a chance for my Bride to connect back with us, after they had finished the tour of the Science Center. While everyone was enjoying some soft drinks, I decided to have a glass of chilled wine, actually there were about five different wines to choose from, and I chose a glass of Caposaldo Pinot Grigio delle Venezie IGT 2014. The wine hit the spot after all of that walking, and then my Bride took advantage of my glass of wine as well. I have discussed this same wine from another vintage before, and it is just a nice glass of wine without any airs about it, the Venezie IGT, just means that the Pinot Grigio varietal is not one of the haloed wines of the area, but is now being grown there. One of the things that really got me excited about my favorite Daughter is that she remembered so much about both places that she wanted her children to see, that she could have almost been a docent at either destination; and in case you were thinking that I am showing favoritism, I only have one daughter, so I can tease her, and when she thinks it helps, she also reminds me of her favorite status. 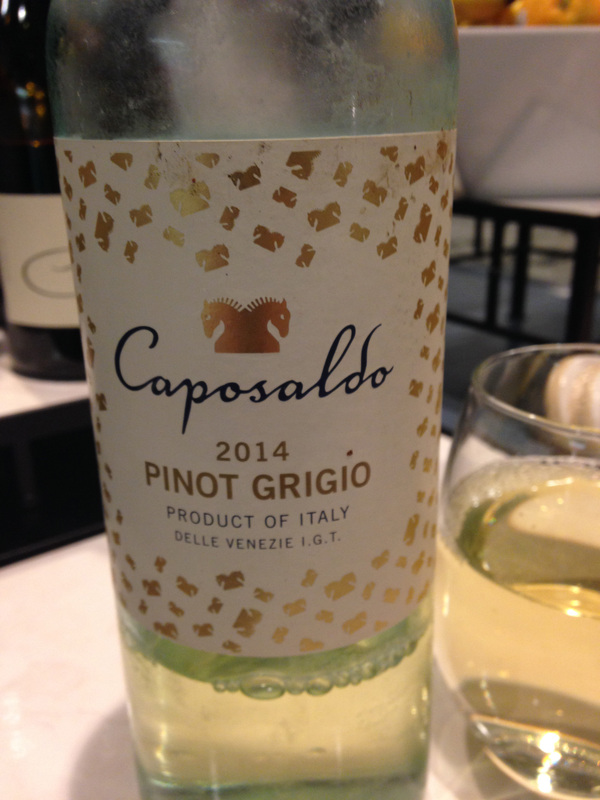 This entry was posted in Wine and tagged Caposaldo, delle Venezie IGT, Italy, Pinot Grigio. Bookmark the permalink. I love the DIA – what a fabulous museum. I visited Greenfield Village as a child, but it is certainly time for another visit.